Peter James has spent his career strengthening and restoring historically significant structures all around the world, from Windsor Castle to the parliament buildings in Canada. In Saving the Pyramids, James brings his unique perspective to the structural engineering of ancient Egypt. After fourteen years working on the historic buildings and temples of Egypt—most recently on the world’s oldest pyramid—he now presents some of the more common theories surrounding the “collapsing” pyramid. He also offers innovative projections on the construction of the pyramids and the restoration of some of Cairo’s most monumental structures from the brink of ruin. In embracing modern theories in a bid to preserve the past, James decodes the historic construction of the pyramids from a builder’s perspective and provides a new outlook on long-held assumptions. 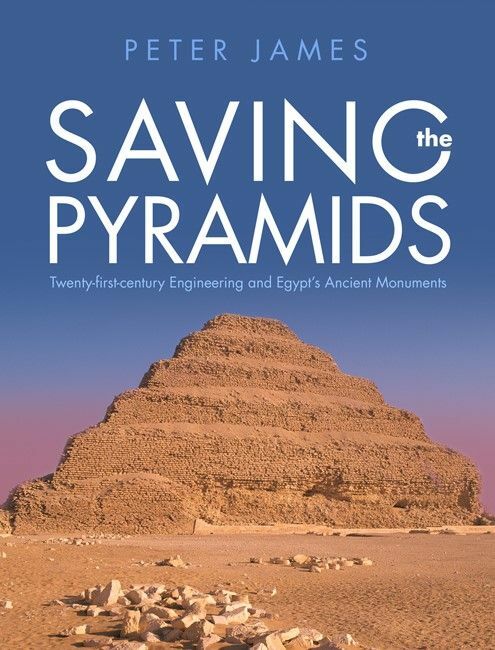 "A history of the pyramids and the technical innovation that has gone into saving them is a fascinating combination that should interest all of us involved in building conservation. . . . This book presents an extra dimension and interest, which again is a fascinating tale."